"I drew an assault boat to cross in--just my luck. because the lead was flying around like hail." 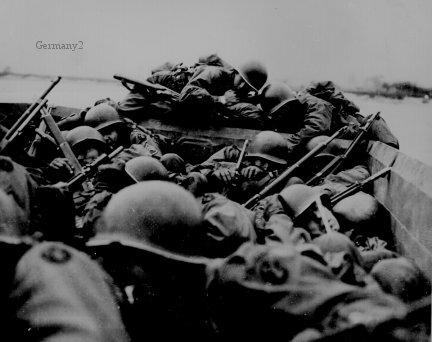 Crossing the Rhine under enemy fire at St. Goar. 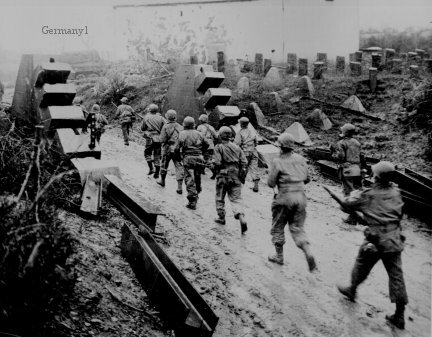 right through the Siegfried Line." move through smoke filled street. 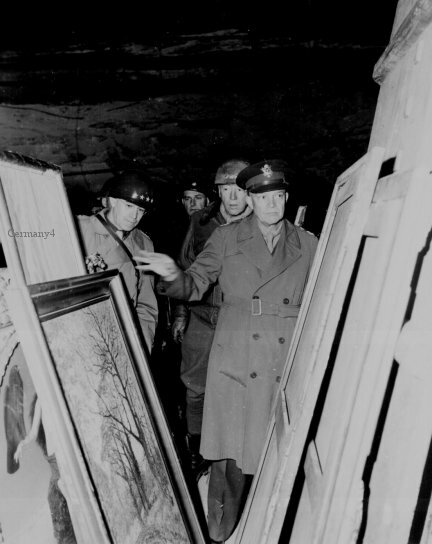 inspects art treasures stolen by Germans and hidden in salt mine in Germany." 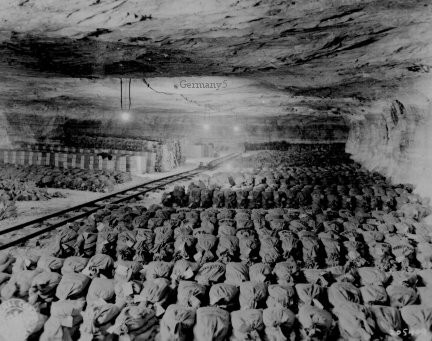 that were removed from Berlin to a salt mine in Merkers, Germany." 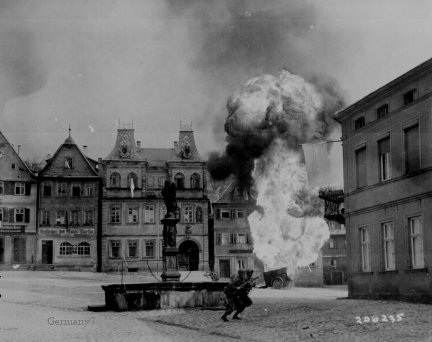 dash past a blazing German gasoline trailer in square of Kronach, Germany." 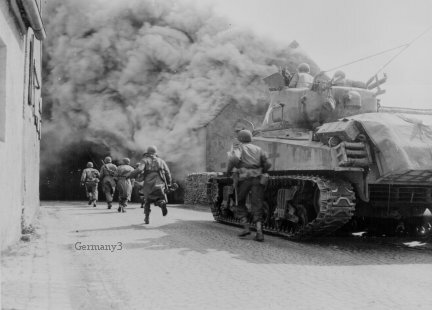 W. J. Rothenberger, April 14, 1945.